Dana T. Davidson is the principal of Davidson Law Group, P.C. With offices in New York City and Glen Cove, Long Island, the firm focuses exclusively on all aspects of immigration and nationality law, including employment based immigration, family based immigration and matters involving consular practice worldwide. 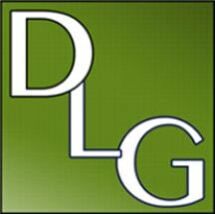 Davidson Law Group represents a variety of clientele, including multinational corporations, banks, educational institutions, film production companies, internet companies, software engineering firms, restaurants, religious organizations and other non-profit entities, as well as all other types of businesses, large and small. Davidson Law Group also represents individuals in employment-based matters, family based matters and deportation matters. Ms. Davidson has been practicing law for more than 20 years, providing legal services to businesses and individuals on a national and international basis. Ms. Davidson began her legal career as in-house corporate counsel at several large multinational corporations, practicing in the areas of general corporate law, large scale commercial banking, asset-based lending, commercial and residential real estate transactions, employment law, employment-based immigration law, and overseeing litigation matters. Ms. Davidson is active in the American Immigration Lawyers Association, including the Rome, Global Migration, and LGBT chapters. She is a member of the New York Bar Association and the Women's Business Enterprise National Council. She volunteers for the Safe Passage Project, which provides pro bono services to children facing deportation. She is the founder of Educating the Educators, a project dedicated to educating the administrators of high schools and colleges on the profound impact that being undocumented has on families, school districts, and the surrounding communities at large. Ms. Davidson has appeared as a guest on the radio program "Labor Lines" twice: first, to discuss comprehensive immigration reform; second, to discuss Special Immigrant Juvenile (SIJ) cases. She sat on the Board of Trustees of the New York College of Holistic Health and on the Board of Directors of the Momentum Project, a non-profit charitable organization that provides nutritional and healthcare assistance to those living with AIDS. Ms. Davidson graduated from Yeshiva University, where she served as a member and as a judge on the Moot Court Board. Call Davidson Law Group today at 516-231-8861 to arrange your initial consultation.